Invisalign clear aligners are an excellent alternative to metal braces. Invisalign helps you get the straight teeth you want without interfering too much with your life. Straight teeth can help you avoid painful and costly dental treatments down the line. Crooked teeth can make it difficult to brush and floss properly, which can lead to dental problems including cavities and gum disease. Invisalign makes it easy to straighten your teeth without permanent orthodontic hardware or the pain and soreness that comes with getting braces tightened. Among the best invisible braces available today, Invisalign teeth-straightening aligners can be removed, which means you can eat or drink anything you want! Children whose bodies are still growing and are, thus, not good candidates for Invisalign. However, teens and adults are appropriate candidates for Invisalign. Those who tend to be forgetful, as Invisalign braces are easy to lose and expensive to replace. Those who have serious dental problems, as adjustments must be made by replacing the aligners with a new set. 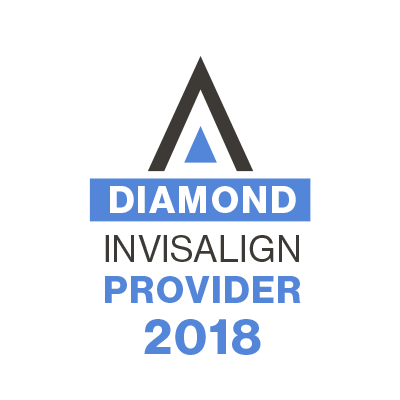 Consultation: One of our experienced Invisalign orthodontists will meet with you to discuss your needs (or your teen’s needs) and evaluate whether Invisalign is right for you. Teeth Impressions: If you decide to go with Invisalign, we will use a digital scanner to create a precise 3D image of your teeth (no messy physical impressions required) and evaluate how your teeth will move over time; this will help determine how long you’ll need to wear Invisalign. Custom-Made Aligners: Next, your custom-made aligners will be created using the digital scan of your teeth. Fitting: Once your custom aligners arrive, we’ll ensure they fit correctly and consult with you on how to wear them and how often to change them. Progress: You’ll need to wear your Invisalign clear aligners for 20-22 hours per day for the best results, but this gives you ample time for eating, drinking, snacking, brushing, and flossing every day. You’ll change your aligners every 1-3 weeks, on average, depending on your specific needs. Your teeth will gradually shift into the appropriate place, and you can expect to see your orthodontist for regular checkups every 6 weeks or so. 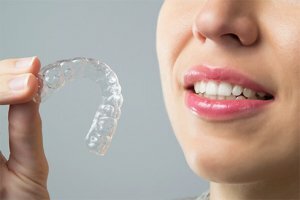 Maintenance: Once your treatment with Invisalign is complete, you may consider wearing a retainer to ensure that your teeth remain straight long-term. The cost of Invisalign is similar to the cost of braces—anywhere between $3,000 and $8,000, on average. How much your treatment will cost will depend on your specific needs. We accept most insurances, which may help pay for some of the cost of your Invisalign treatment. We also offer in-house financing options with no added fees or interest rates (requires a down payment). Why Choose Labbe Family Orthodontics? Our skilled orthodontists have a combined 40 years of experience and are up-to-date on all the latest orthodontic treatments. Our offices are outfitted with state-of-the-art equipment to ensure you receive the very best orthodontic care. We are dedicated to helping people achieve healthy, beautiful smiles in a fun and caring environment—that’s the mission which drives us every day.